Compress, a division of Imaging Technology, will premiere their new 47-inch mid range UV inkjet printer at the FESPA 2016 show in Amsterdam. The new iUV-1200s is part of the iUV LED inkjet printer family, including the iUV-600s, a 24-inch by 18-inch version and the iUV-600XL, a 24-inch by 47-inch version. The 600 series was previously sold under the GO F-24 brand name. The launch of the Compress iUV-1200s will create a new standard for mid-sized UV inkjet printers. With a printing space of 43-inches by 24-inches along with a depth of 12-inches there is not another printer offering comparable size. 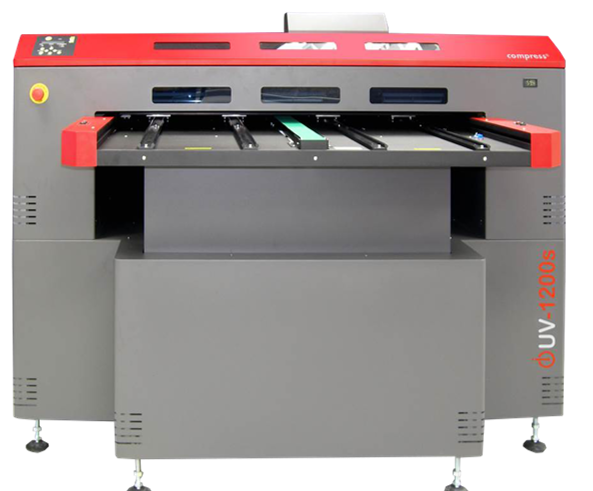 Even more impressive is the unit has a top speed of over 300 sq ft per hour when imaging dual CMYK in draft mode. It is very impressive. 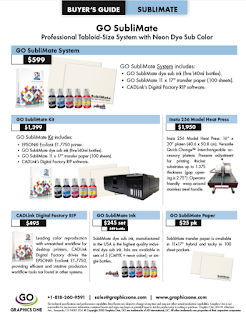 This unit was developed as a workhorse for the industrial decoration and promotional goods imaging markets. The Compress iUV-1200s will start shipping in April and will have a list price of $44,995. For a presentation on the new Compress iUV-1200s please go to: Compress iUV-1200s Info.